Amelia Mary Earhart was an American aviation pioneer and author. Earhart was the first female aviator to fly solo across the Atlantic Ocean. She received the U.S. Distinguished Flying Cross for this record. Amelia Earhart is a name we hear again and again and her story is a tale we know just as often. Unfortunately, what is produced with this sort of repetition is a distance reminiscent of our detachment into a realm of mythology, imagination, and fiction. Granted, Earhart’s life certainly had dream-like qualities, but only because it was first rooted in definite goals and real-life ambition. So, in order for us to be properly inspired by her true story, we must begin by understanding the incredible reality that was her life and her legacy. 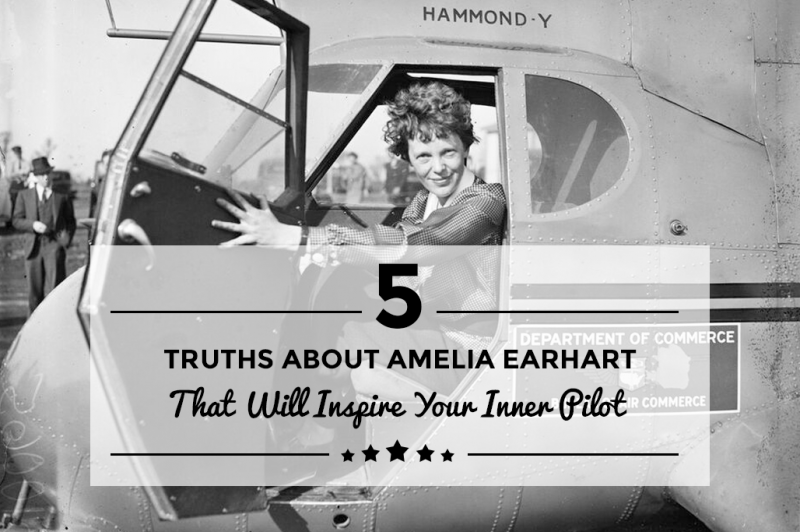 Here are five truths about Amelia Earhart that make flying seem a little more realistic for the dreamer in all of us. Just like most people, Amelia had to go to school. Although, perhaps unlike many of us, she actually had to attend six different high schools, but still managed to graduate on time. That pattern of displacement even carried over to her pursuit of higher education, as she left a small college in Pennsylvania to work with the Voluntary Aid Detachment in Toronto, after which she took pre-med classes at Columbia University in 1919. According to articles from Mental Floss and the National Women’s History Museum she made good grades, but dropped out after just a year. Following that, Earhart re-enrolled at Columbia in 1925 and then left the school again. She took summer classes at Harvard, but ultimately gave up her degree after she did not receive a scholarship to MIT. Amy and Edwin Earhart were the names of her parents, and just like many other guardians, these two both supported and worried over their daughter. Edwin was actually afraid of flying, whereas Amy supported Amelia’s passion. In fact, Earhart’s mom used some of her inheritance to pay for her daughter’s plane – The Canary. Interestingly, Amy Earhart was a bit bold herself, being that she was the first woman to ever climb Pikes Peak in Colorado. Earhart volunteered as a nurse’s aide, worked as a telephone operator, and tutored English. She spent time as a social worker at Denison House in Boston before she was invited, as a passenger, to fly across the Atlantic for the first time in 1928. Not to mention, Earhart spent time making speeches, writing articles for the likes of Cosmopolitan, designing a clothing line, and providing career counseling at Purdue University’s Department of Aeronautics. Although in the end, and all the time in between, she flew. 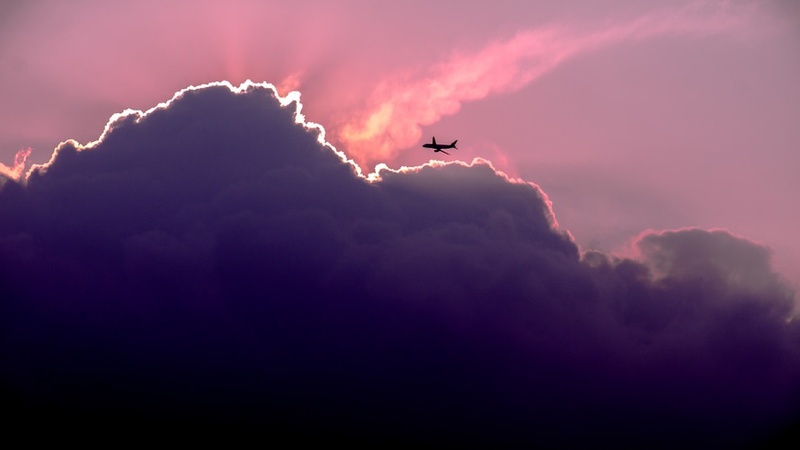 In an article from Levo, written by Meredith Lepore, we learn that Amelia Earhart was afraid of only being known as “the woman who flies.” As a result, she pushed herself to set and meet goals: to lead and inspire. In 1932 she became the first woman to solo across the Atlantic Ocean, but she set that record as a human being, not just a woman. Of this, Earhart once said, “Women must pay for everything. They do get more glory than men for comparable feats, but, they also get more notoriety when they crash.” Amelia Earhart may seem like a far-fetched character from our favorite fairytale, but she was absolutely real and incredibly important. To put it in perspective, upon her disappearance, The United States government spent $4 million looking for Earhart, which made it the most costly and intensive air and sea search in history at that time. Ultimately, however, what might be the most significant part of her story is that she flew because she wanted to. She said, “The most effective way to do it, is to do it,” and I think we can all learn from that influential motto.